You can control cholesterol. And you can do it now. Get the complete 2019 report Managing Your Cholesterol from University Health News. Discover the steps that will speed you to lower cholesterol and greater heart health and wellness. 5 breakthrough revelations that will show you how to effectively control cholesterol and protect your heart’s health! And the fact is more than 40% of all American adults have higher-than-normal cholesterol levels. You don’t have to be one of them! With this must-read report from the editors of University Health News you will gain a deeper understanding of cholesterol’s dangers and you’ll learn how you can manage your cholesterol more successfully and safeguard your heart’s wellness more fully. In Managing Your Cholesterol, University Health News experts dispel misconceptions, share findings with immediate and useful implications, and give you the tools to shape a healthier, more active, and longer life. What is cholesterol anyway? And why do we have it? We all have cholesterol. It is, quite literally, in our blood. It’s a waxy, fat-like material found in each of the trillions of cells that make us who we are. Cholesterol protects our body’s cells, helps build stronger bones, and aids digestion. But, as cholesterol levels rise, because of our diet, age, or other factors, so does our risk of cardiovascular disease, heart disease, and stroke. That’s why this Report—and its 5 revelations—are such important reading! Revelation #1: The dangers of cholesterol are more than a matter of the heart. When cholesterol-laden plaques develop in your arteries, they can accumulate not just in your coronary arteries supplying your heart muscle with nourishing blood, but in the cerebral arteries to your brain, and the peripheral limbs of your body. High cholesterol not only doubles your risk for heart attack, but leaves you more vulnerable to a debilitating stroke. High cholesterol can contribute to dementia, Alzheimer’s disease, to ED, or even cost you your sight or a limb. Managing Your Cholesterol will show you how to halt—and even reverse—cholesterol’s effects. You’ll learn the countermeasures you should—and can—take now to protect your heart, mind, and body for the years ahead. Revelation #2: You can’t afford to settle for testing that just gives you LDL and HDL numbers! The numbers we are most often told are not the most telling. It’s not enough to just know your LDL (bad cholesterol) and HDL (good cholesterol). In Managing Your Cholesterol you’ll read about new screening tests that more accurately assess risk and will help you and your physician formulate the best plan of attack for successful management of your cholesterol. You’ll find out about a test to diagnose peripheral artery disease…a test to gauge whether you have vulnerable plaques…and a test specifically designed to estimate a woman’s 10-year risk of a cardiovascular event. And you’ll find why you should think twice before buying a home cholesterol test kit. Revelation #3: You can do more than you thought—more easily than you imagined! The good news is there are things you can do to control cholesterol. Through specific lifestyle changes you can significantly lower “bad” cholesterol levels… dramatically reduce harmful triglycerides… and actually shrink arterial plaque! And it’s not just food (More on that in a moment!). The Report will show you the best exercises to regain a healthier cholesterol balance. You’ll get practical tips for losing weight and keeping it off. You’ll discover a simple step to boost “good” cholesterol. Plus, you’ll be alerted to 17 common medications that can affect cholesterol levels. Revelation #4: You can harness the positive power of food—with far less sacrifice! Eggs in a “heart-healthy” diet? Yes, and shellfish too! Nutritionists now know that foods high in dietary cholesterol can actually be beneficial in your diet. In Managing Your Cholesterol you’ll confront the real troublemakers. You’ll be alerted to two fats…three oils…and five foods to avoid at all costs. In the Report you’ll learn about a fruit with extraordinary ability to reduce LDL cholesterol. You’ll discover a spice that can suppress plaque build-up. And you’ll find a kid’s staple that should be part of every heart-health-conscious adult’s diet. The Report will introduce you to the common berry that can help prevent blood clots…to an easy-to-follow eating plan that can reduce “bad” cholesterol by almost 10%…and a diet that, in a landmark study, reduced risk of a cardio-vascular event by 30%! Revelation #5: It is more important than ever to make the right choice in medications—and avoid the wrong one! In the last two years, the FDA and manufacturers withdrew four medications designed to control cholesterol because the risks outweighed the benefits. At the same time, statins, such as Lipitor, Crestor, and Zocor, are among the most widely prescribed medications in the world. They can effectively lower LDL and total cholesterol. But they also have important side effects that you need to know about. With this Report you will. You’ll also read about a new class of drugs—PCSK9s—that can reduce LDL levels beyond what most statins can achieve—and spare patients the aches associated with statins. You’ll read about three drugs for patients with high triglycerides and two alternative choices for people with a statin intolerance. Managing Your Cholesterol will help you work with your physician to determine whether you should be taking a cholesterol medication and which medications best fit your needs and minimize potential side effects. Don’t wait another day to protect your heart’s future. You can lower the boom on high cholesterol! Send for Managing Your Cholesterol now. 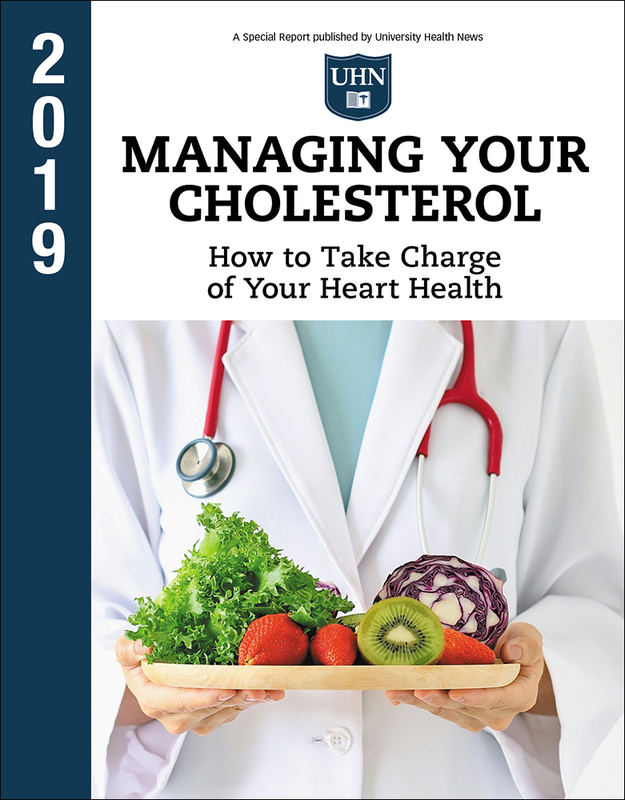 Managing Your Cholesterol: The 2019 Report is ready now at the lowest price you’ll find anywhere. There’s no reason to wait! This printing of Managing Your Cholesterol: The 2019 Report is limited. To avoid any delay, order today!